Cascadia Development Partners gain an edge in a competitive Vancouver multifamily housing market. 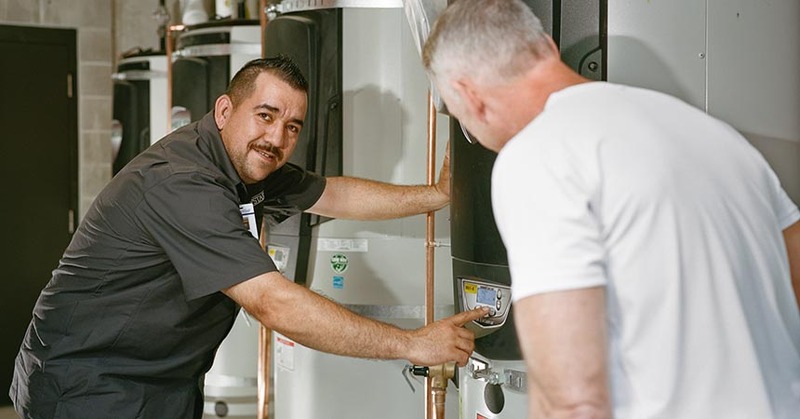 Gonzalo Ramirez, building employee, Uptown Apartments, enjoys using the new Commercial Tank Water Heaters, located within the lower level maintenance room. 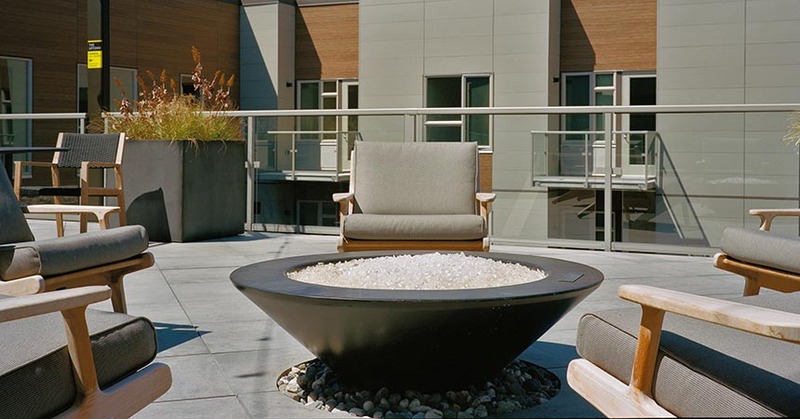 The Uptown Village neighborhood of Vancouver, Washington is a vibrant area where visitors and residents alike can browse boutiques, meet friends at coffee shops, shop the farmers’ market or join an art walk. 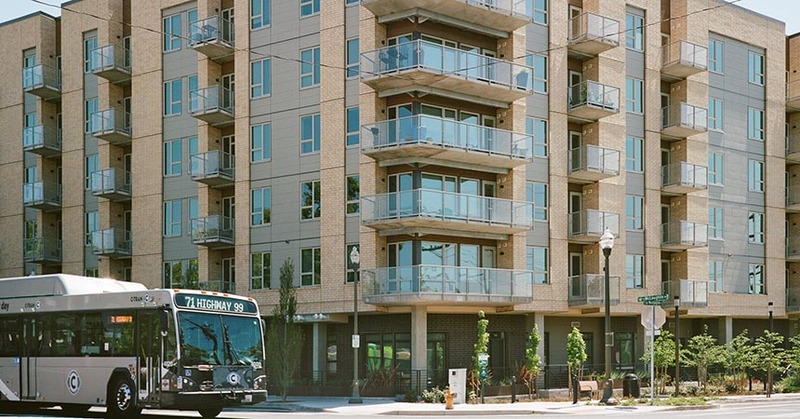 With many apartment complexes being built to meet demand in this desirable urban residential area, Cascadia Development Partners knew they needed their new building to stand out. They did just that when they worked with Energy Trust of Oregon and NW Natural to lower energy costs and pass the savings on to their residents at the Uptown Apartments. 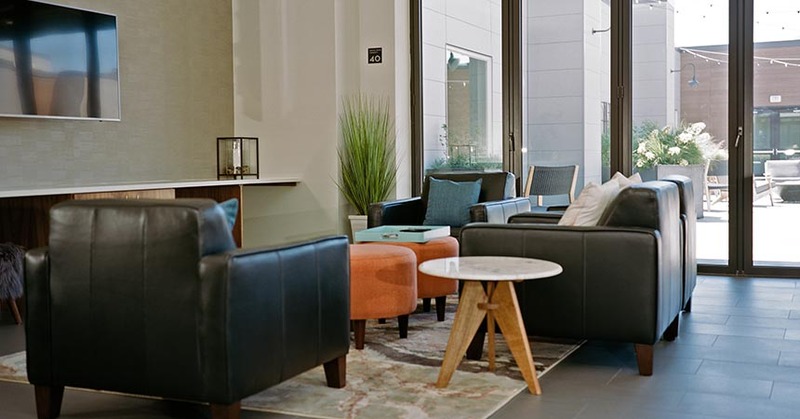 The Uptown Apartments is a six-floor building with 167 units and 8,000 square feet of ground floor retail space. 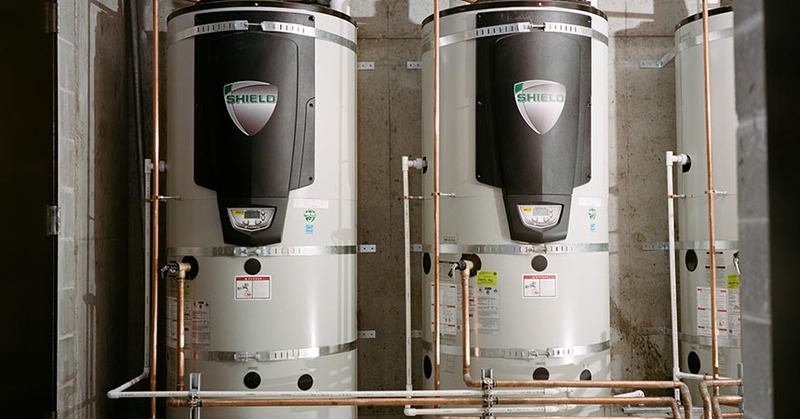 Energy Trust’s cash incentives allowed Ickert’s team to install four high-efficiency commercial tank water heaters in the Uptown Apartments lower level. The tenants are now saving energy and money, too. “We asked our management company to review gas bills for similar properties in the area and compare them to the Uptown,” says Ickert. 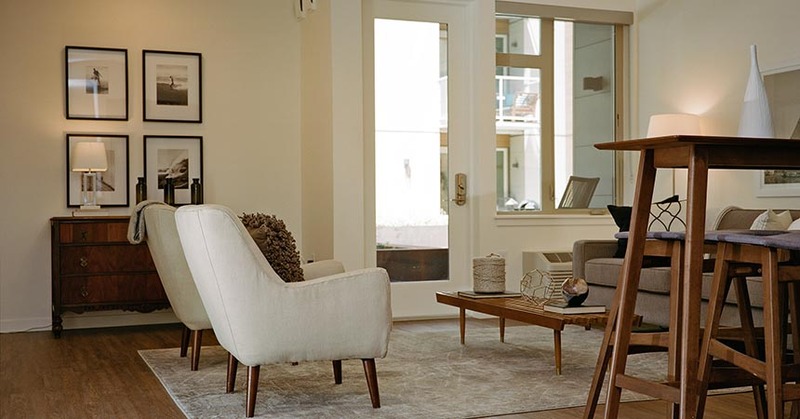 “On average, the natural gas billing portion for the Uptown is 31 percent less than other properties.” Plus, the building is the first and currently only mid-rise multifamily project in Clark County to be LEED Silver certified.